Today this year’s Captains at Shrewsbury Golf Club drove into office and nominated two charities that the Club will support throughout the Year. The first is the breast cancer unit at Royal Shrewsbury Hospital and the second is Hearing dogs for the deaf. The Captain, Keith Smith, has been supporting the fight against breast cancer following the death of his first wife from the disease. The Lady Captain, Sheila Band, recognises the difference a hearing dog can make to deaf people, improving their quality of life significantly. Shrewsbury Golf Club saw two new Captains drive into office today. The Captains of the Club are figureheads for the year, encouraging members to participate in a wide range of competitions and activities throughout the year. Many of these activities raise money for an elected charity. The new Captains of Shrewsbury Golf Club drove into office by each hitting a golf ball down the first hole, symbolic of starting in the competition that used to be played to determine the Captain of the club. Keith Smith is this year’s Captain and has been a member of the club since he began playing golf in 1966. “Golf is a great game and when I began playing at the age of 17, my focus was on getting good at the game. Today, I enjoy the camaraderie of the game. The friends you make in the Club over the years are one of the best things about playing golf and being the member of a Club. I’m looking forward to my year as Captain and helping the Club become prosperous with members old and new enjoying their golf throughout the year,” said Keith. Keith has elected to support the breast cancer unit at Royal Shrewsbury Hospital. He has been supporting this unit since his first wife, Barbara, past away with the disease 10 years ago. “Female breast cancer incident rates have increased in the UK since the late 1970s. It was rising steadily by 2% per annum until they introduced a national screening programme in the late 1980s. The unit at Shrewsbury Hospital provides excellent care and treatment for this disease that 1 in 8 women are likely to get. However, if caught early this disease is treatable, so I’m keen to help hospitals detect breast cancer earlier and make breakthroughs in its treatment,” revealed Keith. 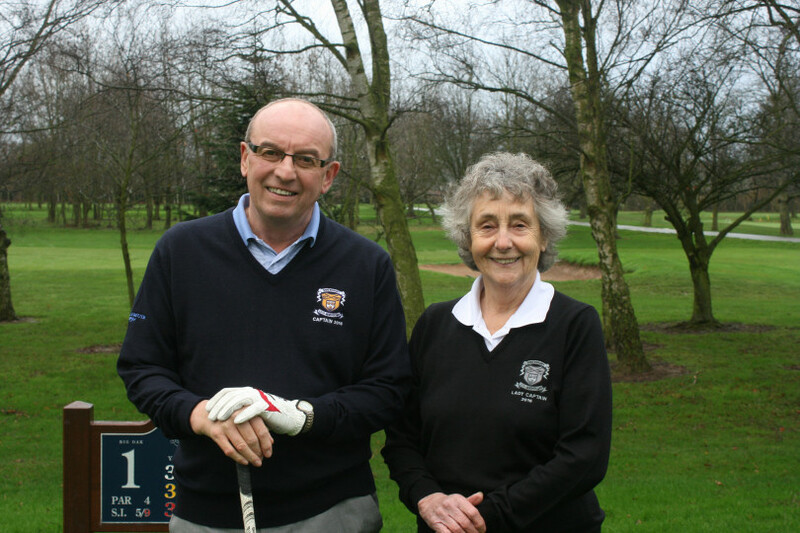 Sheila Band, Lady Captain, began playing golf 30 years ago and joined Shrewsbury Golf Club in 2008. She has been county delegate for both Ludlow and Shrewsbury and has a keen interest in the rules of golf. Sheila has elected Hearing dogs for the deaf as her charity for the year. “Hearing dogs give deaf children and adults a new lease of life. Often when they lose their hearing they feel isolated and lose confidence. Hearing dogs do so much more than the practical tasks of alerting their owners to sounds like the door-bell or warnings such as smoke alarms. They bring confidence and independence back to their owners, so I am pleased our members will be raising valuable funds for them,” said Sheila. Shrewsbury Golf Club is looking forward to an enjoyable year of excellent golf with their new Captains leading the Club’s activities and welcoming new members and people keen to take up golf.